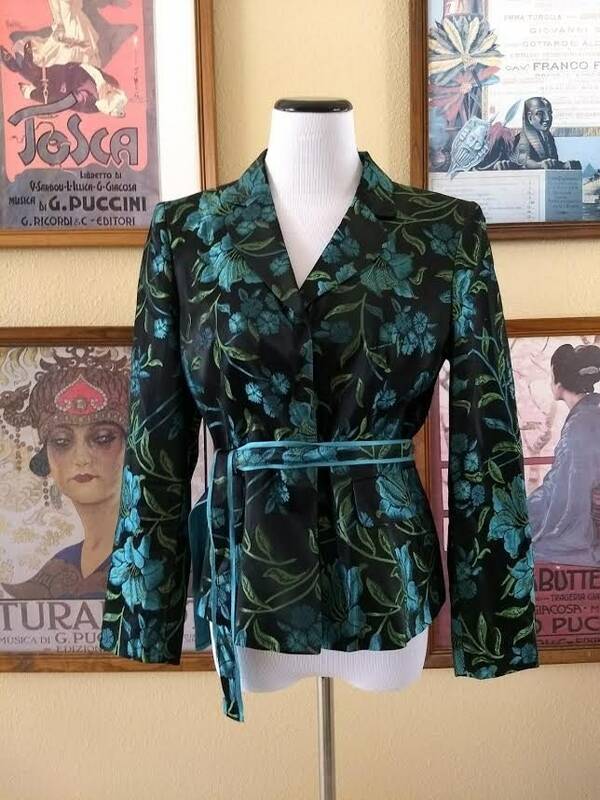 Lovely Nippon Boutique Black Jacket,Belted with Turquoise Floral Pattern,Size 8P. 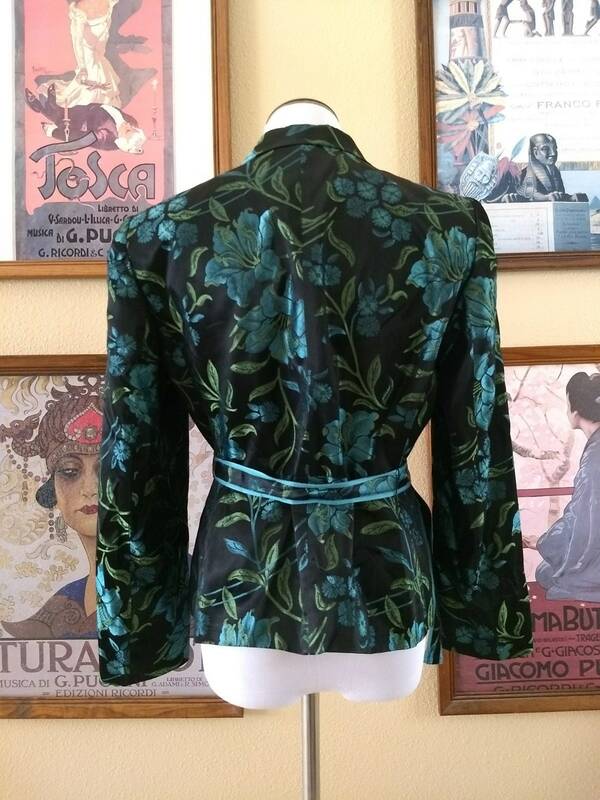 Tjis is a charming Black jacket with pretty floral pattern in greens and turquoise. 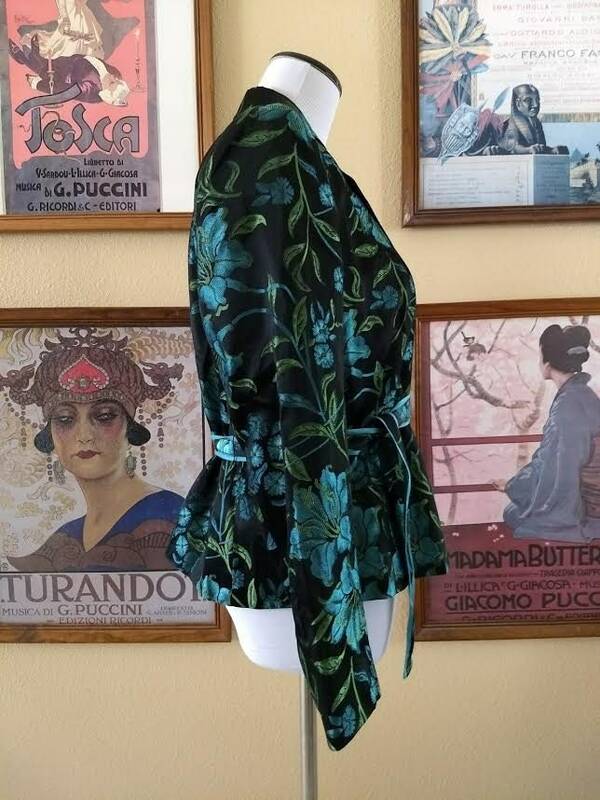 It has three snaps up the front,has a tie belt and is fully lined. 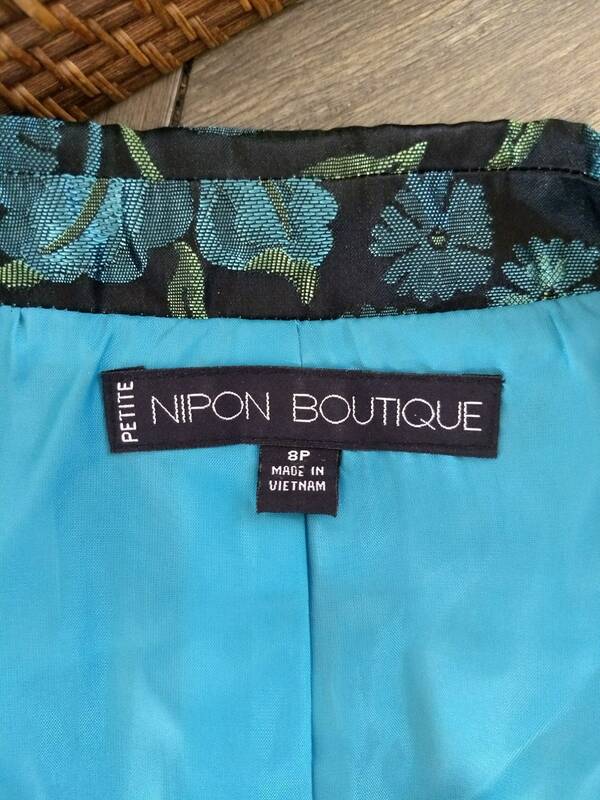 The label reads Nippon Boutique,size 8P. It is in very good/excellent condition.Pair this with black skinny jeans or a long skirt and some ballet slippers or platform heels.